We're all ready for Holiday-ing! 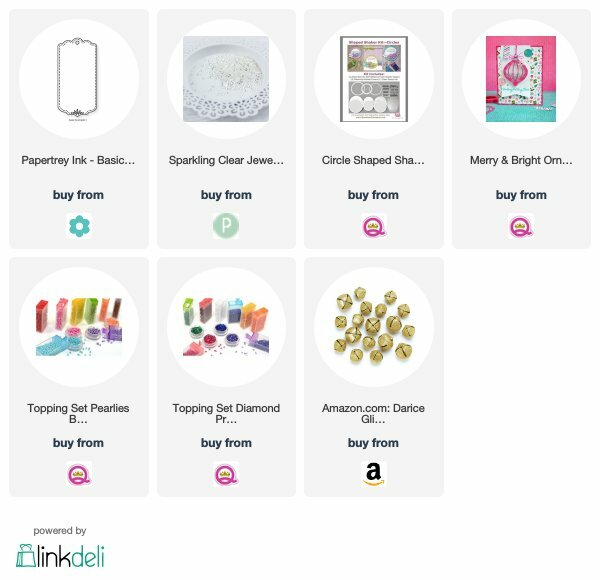 Plenty of Christmas movies, family shenanigans, cooking, baking, delicious food and way too much time in our pj's awaits :) I am also packing up as many crafty things as I can for our journey. If I am up to it, I hope to spend some time crafting. It's one of my favorite things to do during the Holidays - with the buzz of chit chatter in the background, the scent of cider simmering away, and carols filling the air...It's just so cozy and relaxing. I love it so much!! What do you hope to do this Holiday? Do you like to fit in your favorite activities, or do you prefer to spend the time doing as little as possible? Are your days filled with travel, or do you find that hosting is more your thing? 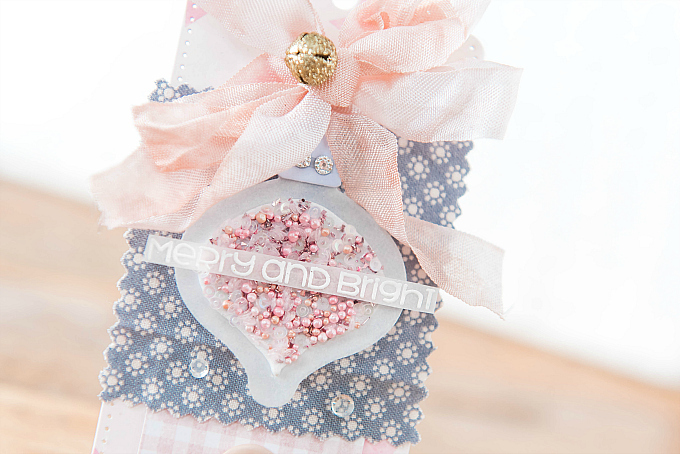 Today I'm popping in with another Delicate Series Christmas creation - I just couldn't help adding in one last post! 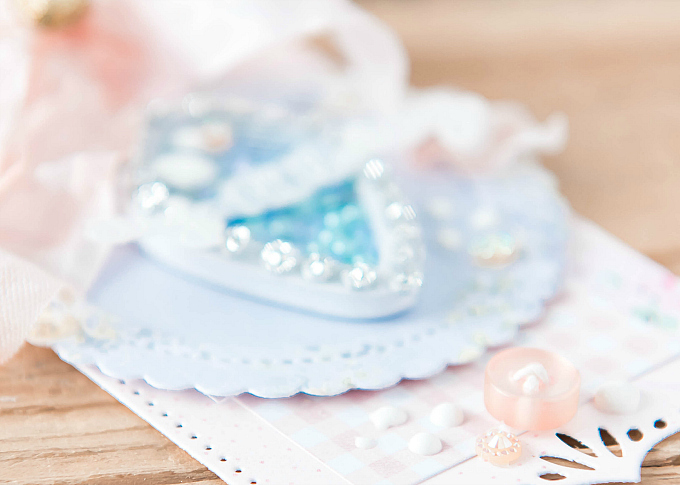 This time last year, we were spending Christmas with new friends, so I decided to pull out a beautiful parcel my friend Aneta sent me last year for my Birthday and make something in light of this lovely memory. 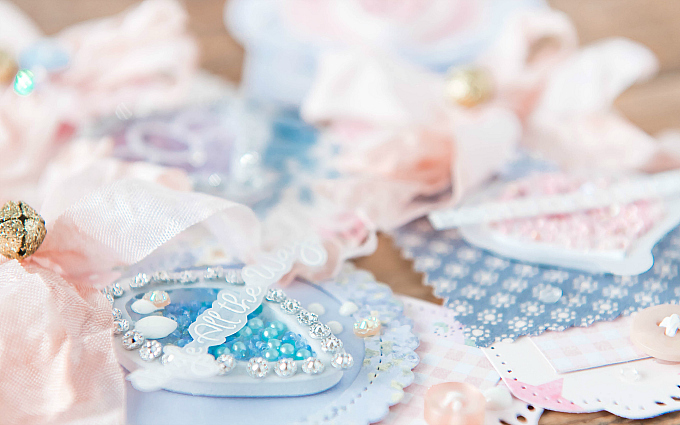 All of the beautiful papers and fabrics you see in this post are from her parcel. 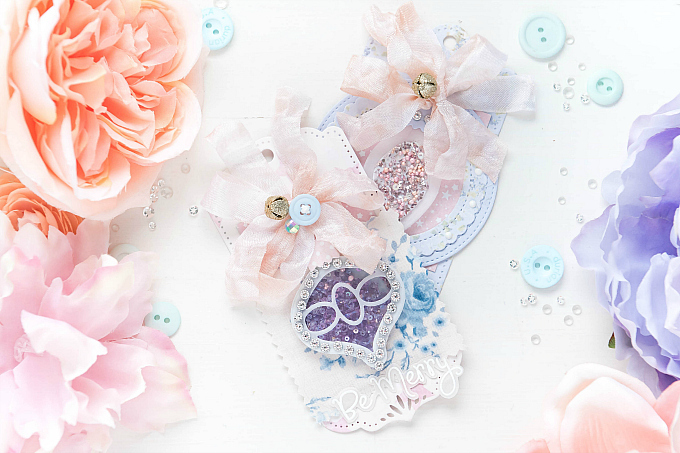 I decided to make four tags, using all the pretty papers and fabrics. To start each of my tags, I used PTI's Basic Bookmark 3 die. 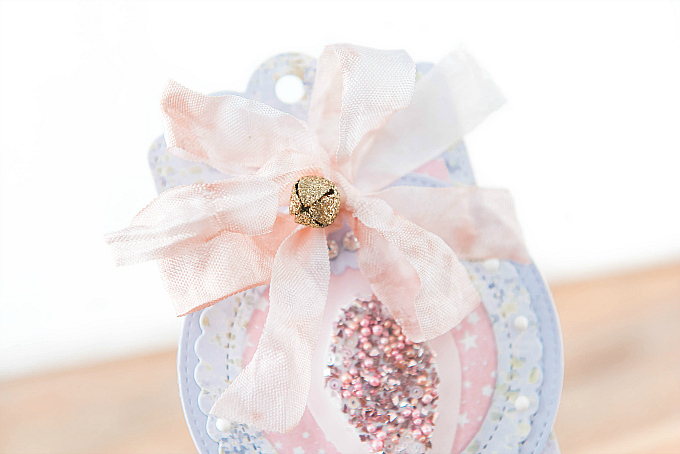 At the top of each tag, I added a shabby, vintage bow. I thought it looked so lovely with all the glass glitter accents. For all of the tags, I gathered my beautiful Queen and Co Merry and Bright Kit, and made a variety of shakers, and glittered ornaments. 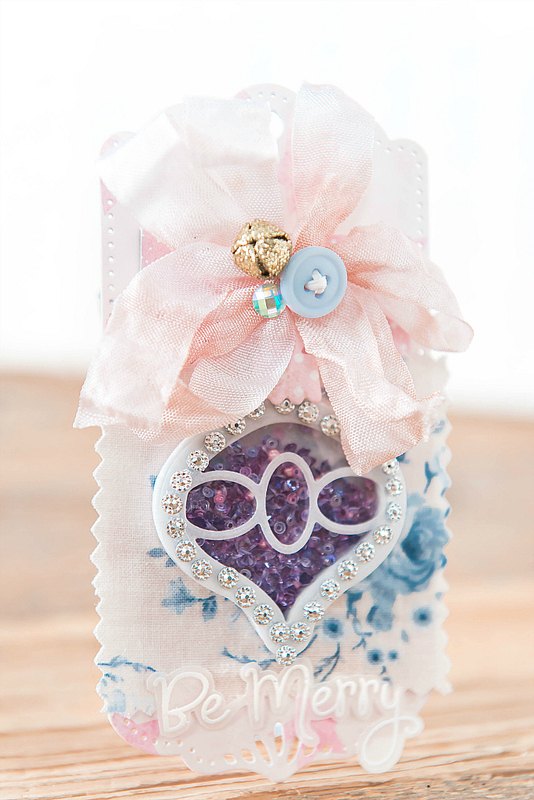 I used the kit stamps for all of the sentiments, and heat-embossed them on some vellum. 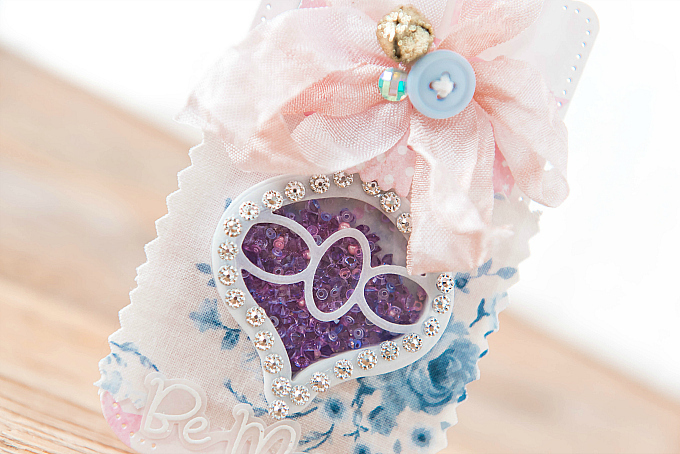 For each tag, I also added a tiny bit of the beautiful fabric, and layered some of the sweet paper patterns. Aren't these colors just gorgeous?! 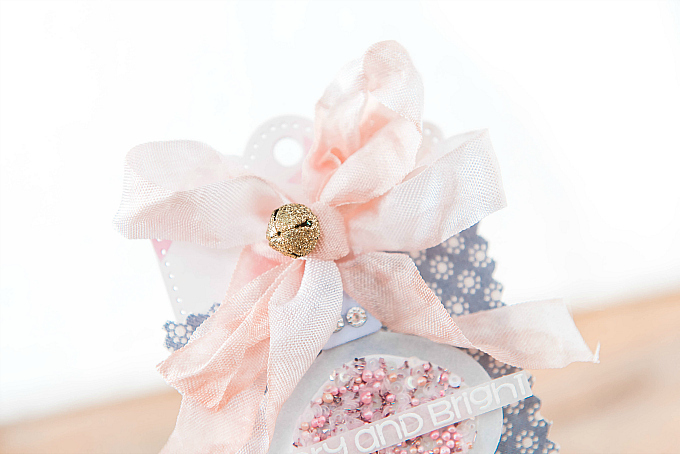 Each bow also got a sparkly jingle bell. I can't get over how much I love these stamps and all the pretty fonts. I really had a hard time picking only four! 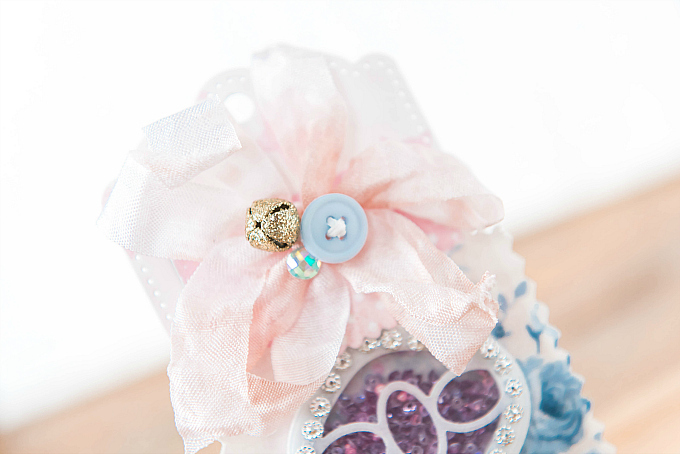 I also added in some PPP clear jewels around the tags. For the shakers, I used a mix of the beautiful Queen and Co Diamond Shaker Toppings. 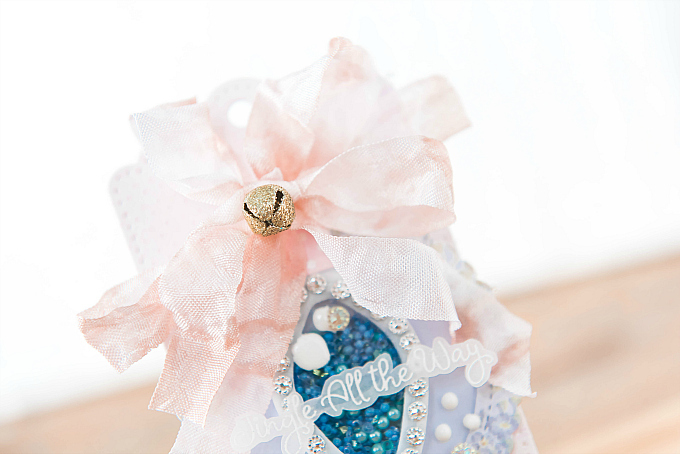 I also added tiny sequins, and decorated the shakers with silver rhinestones. The shakers were also made out of vellum (a first for me) and I love how they turned out! I love the floral print here, even though it's not completely traditional, it adds such a cozy feel. For a couple of the tags, I also used Queen and Co's Circle Shaped Shaker Kit, which grow to love more and more every time I use it! 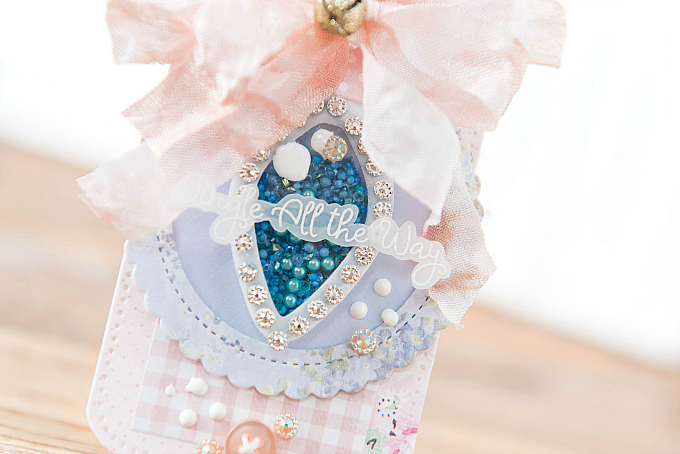 The pretty frames are just the right size, and the little stitch details and scallops are just so sweet. For the shaker here, I added in Queen and Co's Perlies Shaker Toppings. 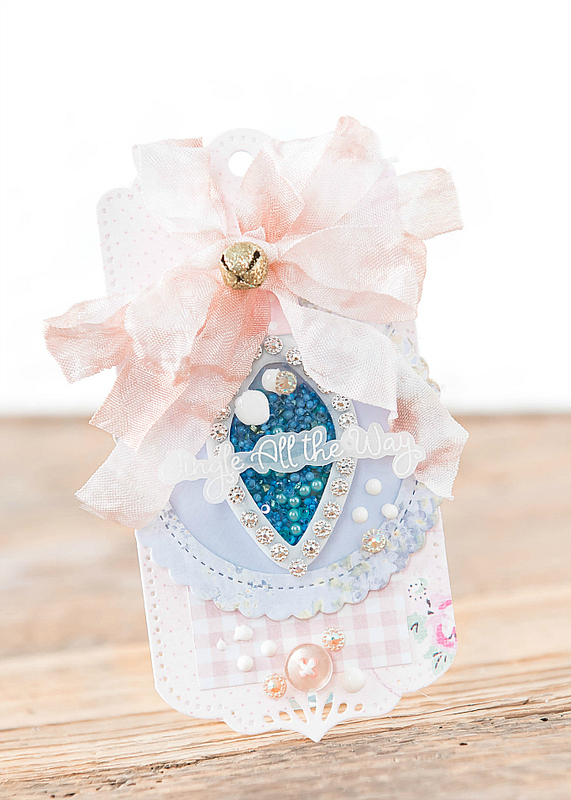 I also added in some extra toppings on this tag, with Nuvo drops, rhinestones and tiny buttons. Here is a little close up. 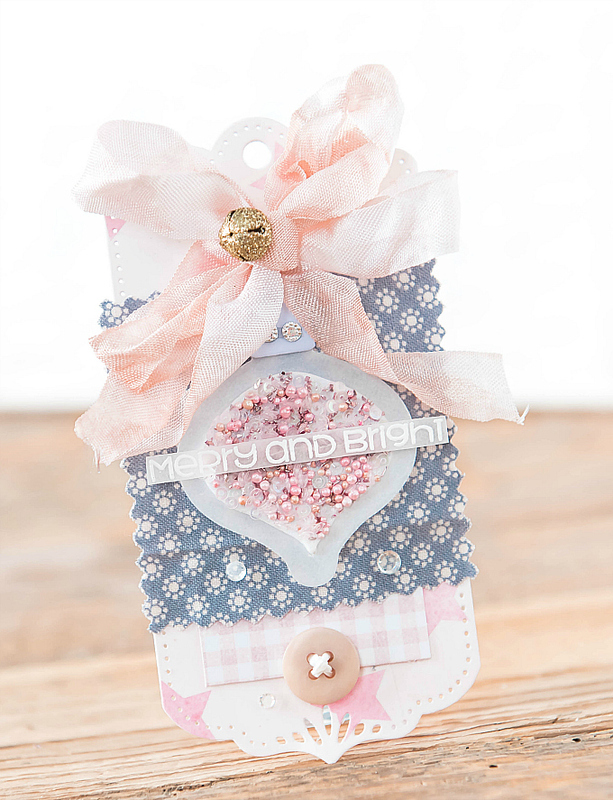 I loved making these sweet tags and feeling like I was close to my crafty friend. Aneta, thank you so much for all of these beautiful goodies! 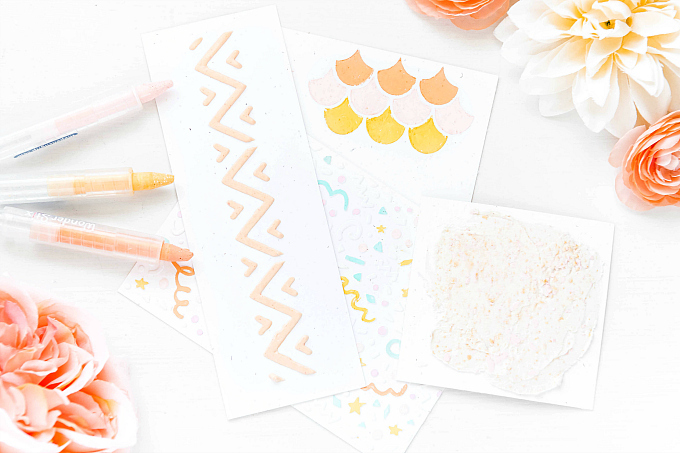 I hope you've enjoyed today's post! I'm signing off for a few days and wishing you all the most wonderful, happiest Holiday. Merry Christmas!! If you make something with either of these sweet kits, we'd love to see! 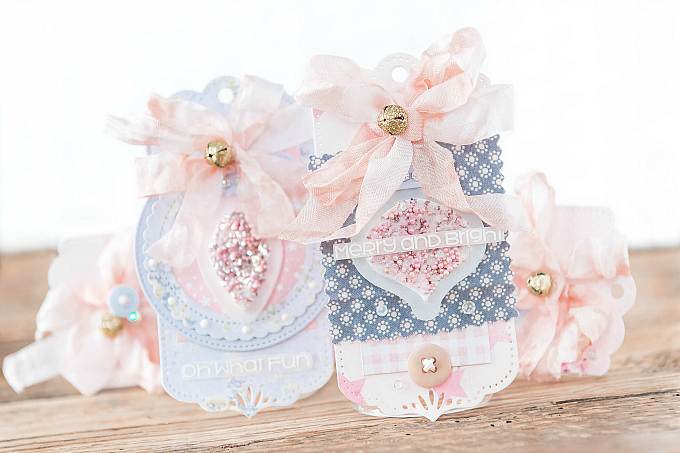 Wow, Ivana what stunning shaker card tags, they are so pretty. 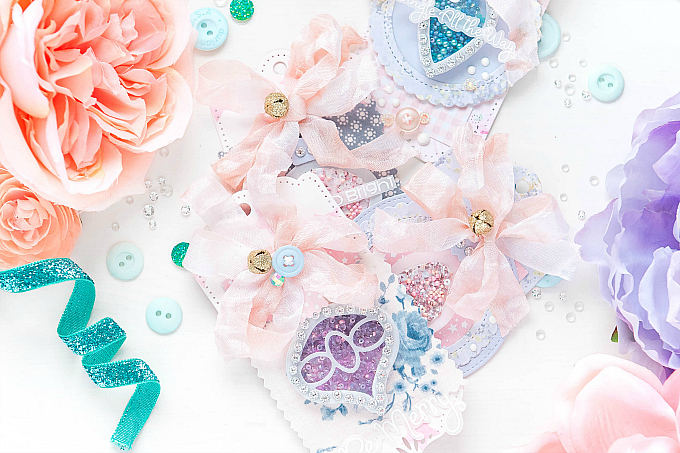 Oh my goodness, what pretty tags! 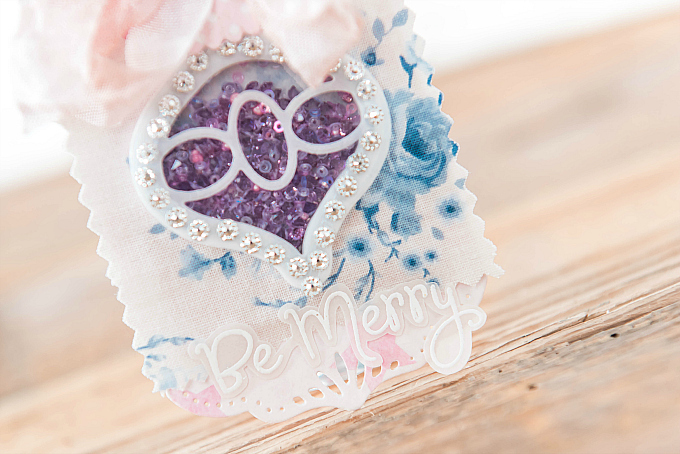 Your fancy ornaments and sparkling jingle bells are fabulous! Awww thank you so much!!! Lisa, you are too sweet to me, honestly. I'm awful at keeping up with blog visits, but anytime I pop in here, your sweet notes of encouragement await. I am so so lucky to have you as a friend. Thank you!!! Incredibly beautiful tags, Ivana! Absolutely love the bells!